I’m a trainer girl at heart. Up until recently, you’d be pushed to find me wearing anything other than my inkkas or airmax. 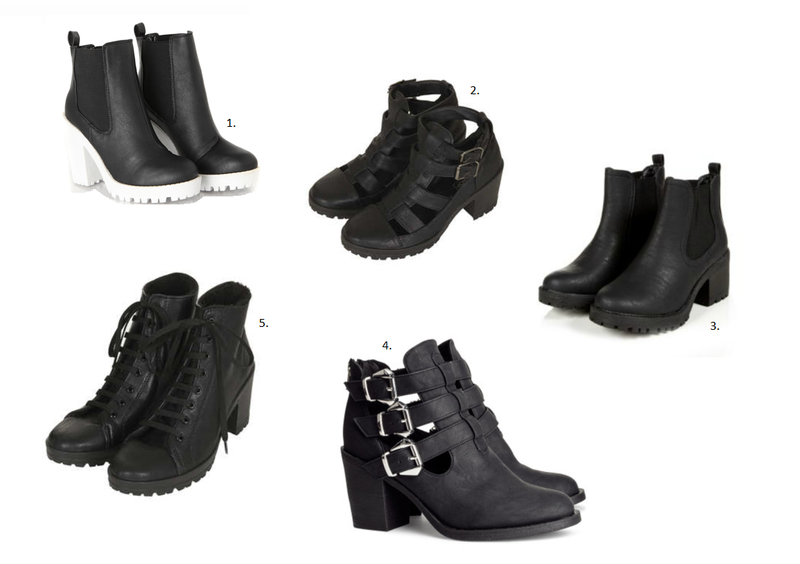 However, I am completely crushing on heeled boots at the moment! My boyfriend got me a pair for Christmas (no sign of hinting, just a quick send of the link) and I bought a pair in the New Look sale yesterday as well. Oops. They just go so well with everything! My standard look is boyfriend or mom jeans and an oversized jumper, and wearing boots with them means I look more glam than man, and they add a touch of edge to more feminine outfits like playsuits and dresses. If I was to describe my everyday style, it would be oversized and grungy. I don’t think I suit really girly or glam outfits, and when I do put an effort in to look chic I always get a dozen remarks on how ‘nice’ I look. Err, thanks guys. So I decided to make a dream outfit that I would feel comfortable in but still look elegant. Enter your email to get the latest updates from my blog!